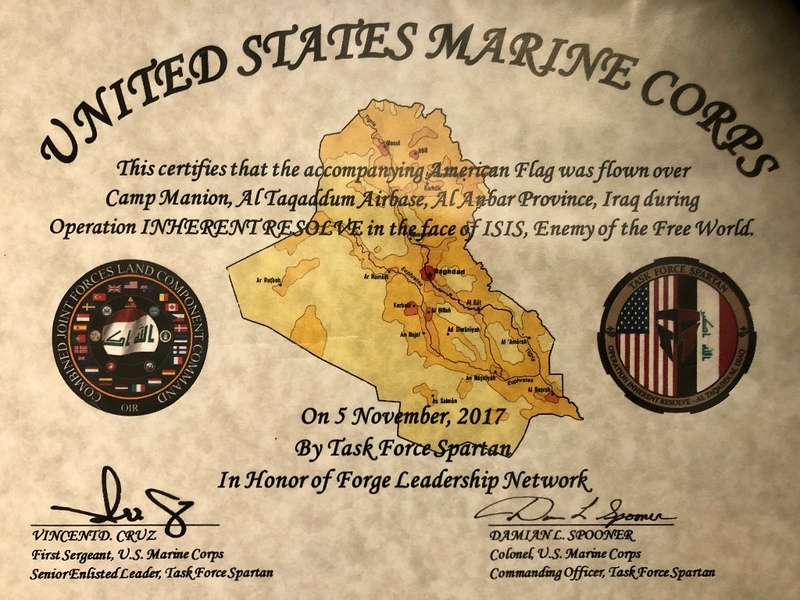 Forge Fellow (graduate) Jeremiah Martin presented Forge Leadership Network with a flag that was flown over Camp Manion, Al Taqaddum Airbase, Al Anbar Province, Iraq during Operation INHERENT RESOLVE in the face of ISIS, Enemy of the Free World! Jeremiah and his wife Emily and their kids sacrificed greatly for the sake of freedom this past year, with Jeremiah deployed in Iraq for Operation Inherent Resolve against ISIS. It was an incredible surprise and honor to have Jeremiah arrange for the military to present Forge with this amazing gift. We will always cherish this special gift, and more importantly, the sacrifice of our military men and women and families! Forge graduates are truly impacting our world for good, in many vocations and arenas including military veterans like Jeremiah, serving his country and defending freedom and humanity against the face of evil like ISIS. Your support and financial partnership in this ministry allows us to serve and equip young people like Jeremiah who advance freedom in so many sectors like business, politics, law, education, and even our armed forces. 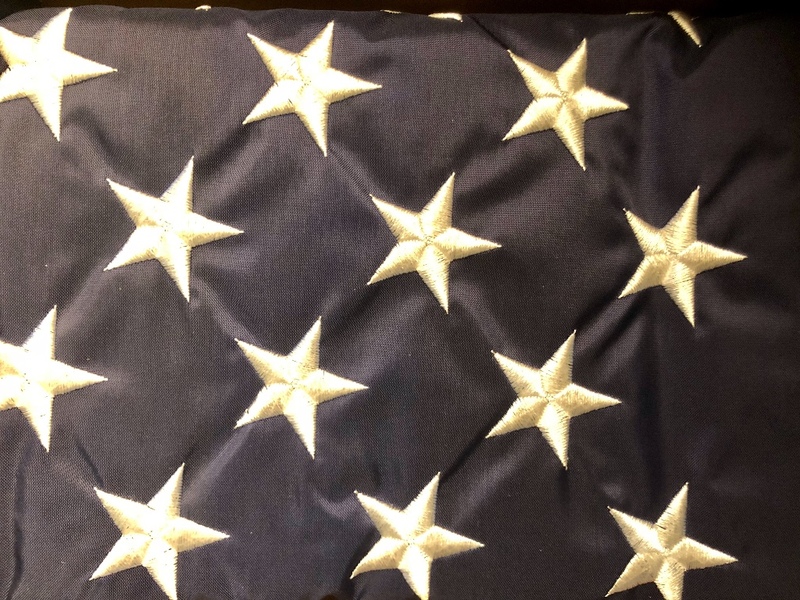 Please consider furthering the cause of freedom today with a gift of any amount. P.S. Remember that 18-25 year old conservative students and young professionals should APPLY RIGHT NOW for the 2018 Forge Leadership Summit, July 24-28, 2018.